Kensington Palace is worried about online bullying against the royal celebrity couples, Kate Middleton and Prince William, and Meghan Markle and Prince Harry. In the latest celebrity news, according to People.com. Kensington Palace staff have spent countless hours monitoring negative comments aimed toward the royal sisters-in-law. 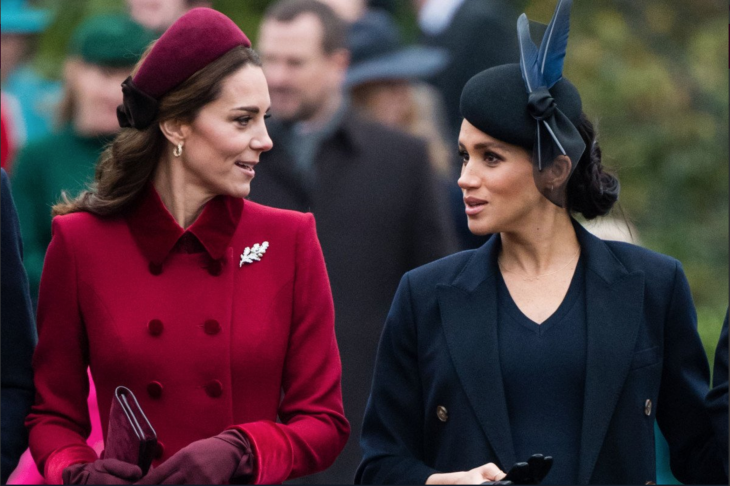 These comments often try to pit Duchesses Middleton and Markle against each other, with fans of both taking sides and arguing among themselves. In some rare cases, there have even been serious threats of harm. The cyber bullying isn’t just toward both women: Kate and Meghan fans often turn against, and threaten, each other. The Royal Celebrity Couples are facing terrible comments on social media and, in response, Kensington Palace is making a peace movement. What are ways can adults cultivate a positive experience online? Kensington Palace has been locking down the comments on social media about the royal family. While it might be easy to act thoughtlessly online without caring about another person’s feelings, bullying has serious emotional repercussions that have, in some cases, led to suicide when an online social interaction is not as easily monitored. We should all strive for a positive online experience. Here are some ways to achieve it. 1. Remember the Golden Rule: Remember the saying, “If you can’t say anything nice, don’t say anything at all?” Apply this logic to any future comments you might make online in a public forum. Realize the comments you are making are about real people, too. It’s easy to get into shipping wars when we adore our royalty and our celebrities, but they have feelings and busy lives just like we do. Would you want to hurt your favorite celebrity because you’ve said something terrible about one of their family members when they’re trying to work out their personal differences? 2. Report Threatening Behavior: If you’re on a forum like Facebook or Twitter, you can report any threats toward someone who is getting bullied. Often, there is the option to block a specific user. Never make any threats yourself. While there are no exact laws against cyber bullying, it is still a form of harassment and there can be legal ramifications if you’re caught. 3. Just Walk Away: The best thing to do is ignore it, even when you might really want to make that comment to try to make an internet troll go away. Bullying can take away the enjoyment of the video or article you’re trying to read and put you in a horrible mood when you could have just ignored someone else’s childish behavior. What are some other ways that adults can cultivate a positive online experience?